The Castle Art Department shared this pic of the painting in Castle's study. He was even hinting they could share places to get it! 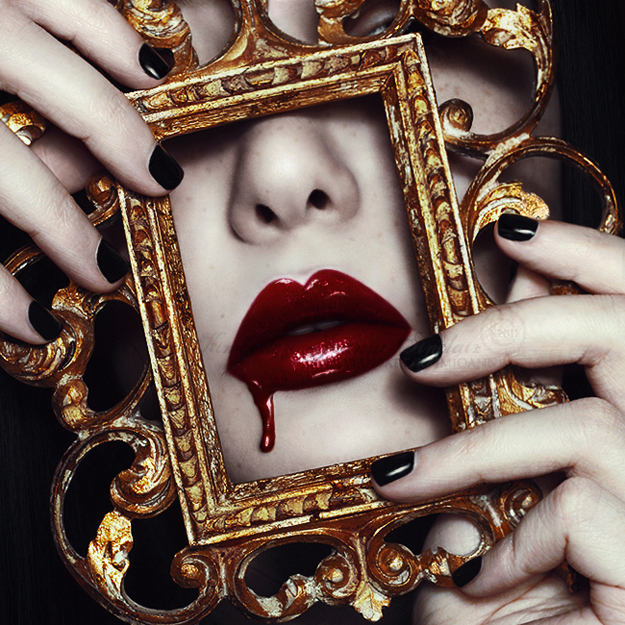 From Petapixel - Photographs recreating paintings of the old masters. This one is my favorite! Gloss Overload by xKimJoanne. Something captivating about this one. Not your typical NASA pic! Heh heh. 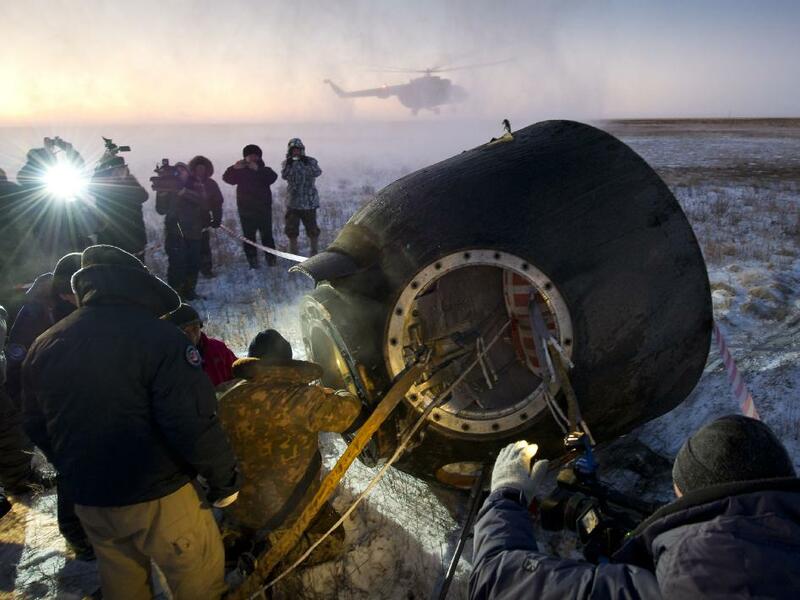 Expedition 29 Crew Lands. Something just grabbed me about this one. Sneak peek of John Picasio's cover for Hyperion. So cool! 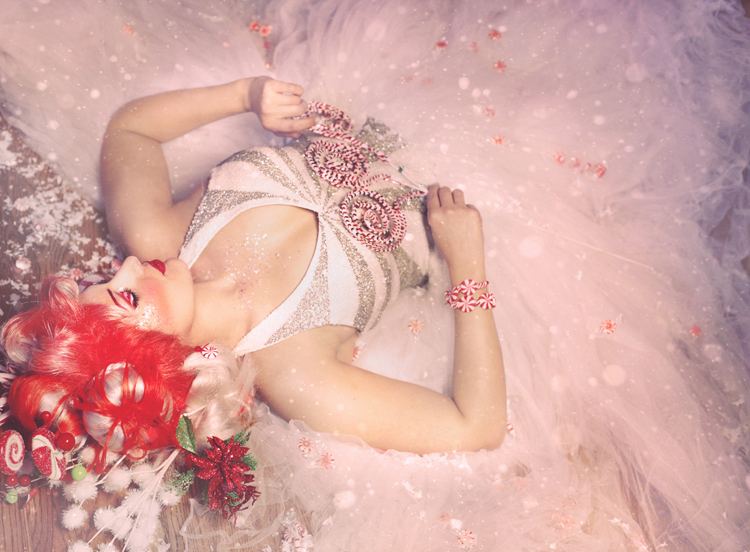 Peaceful Peppermint by girltripped. Great for Christmas! heh heh. From Lucienne Diver - Beautiful Moments. Way cool time lapse video of earth from orbit. 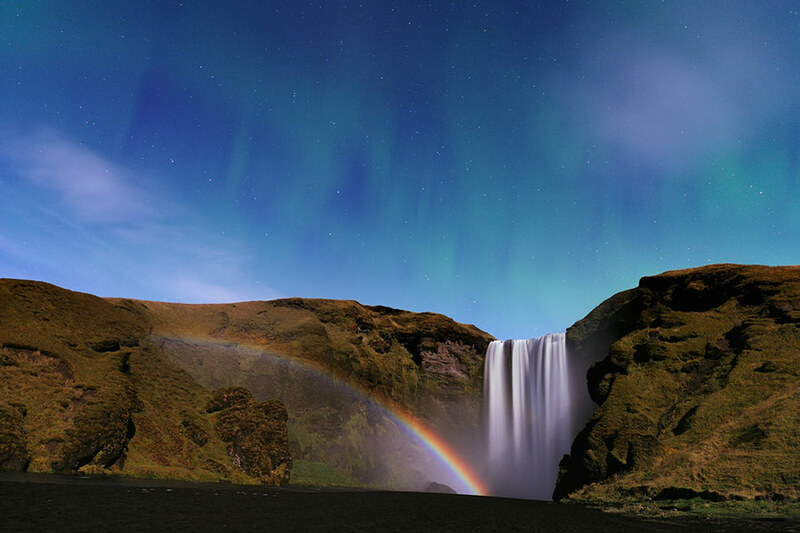 Last but not least - Waterfall, Moonbow, and Aurora from Iceland by Stephane Vetter. A MOONBOW! Who knew there was such a thing?!?!?! This one caught my eye from the title on the roster at the History Blog - A Map of a 19th Century Woman's Heart. Not what you might think but somewhat fascinating! Sea of Wealth indeed! lol. K B Owen Mystery Monday: The Butler Did it? What I find funny about the findings is that a few weeks ago I watched a comedy spoof called Murder by Death from 1976 that actually said all novels of the period were always dumped on the butler. lol. Medieval Weapons in the American Civil War by Sean McLachlan. Stuff we just don't think about for the Civil War. And on the creepy side of discovery news - Depleted Texas Lakes Expose Ghost Town, Graves from msnbc.com. A lovely Exclusive Amazon Interview with Terry Pratchett! Exclusive Amazon Interview with Sir Terry Pratchett from Neal Thompson on Vimeo. From Hijinks Ensue - Winter is Coming. 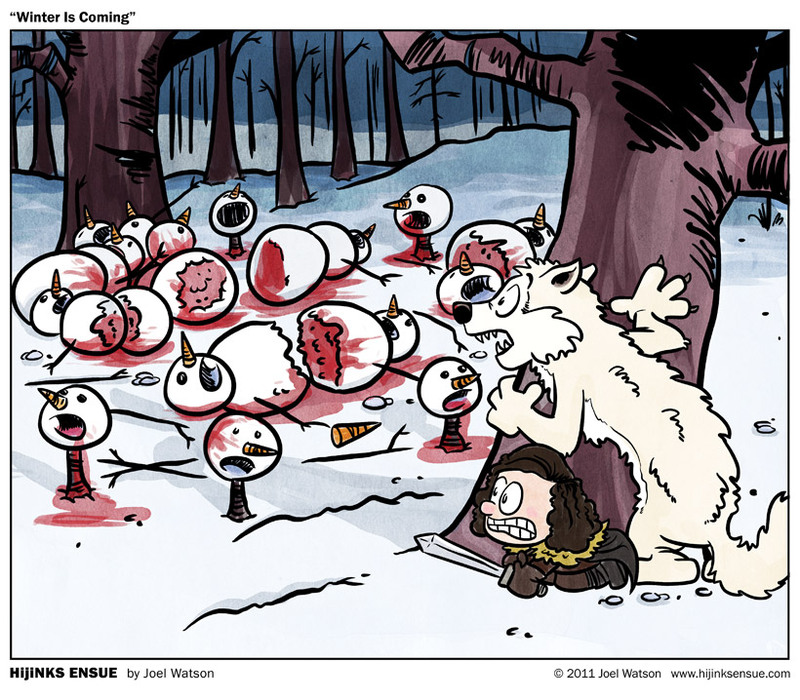 Calvin and Hobbs meets George RR Martin. Hee! People Food For Puppies by Amy Shojai. Just in time for the holidays! Do's and Don't's! Nathan Fillion Dishes on "Castle" : Wants to Avoid 'Moonlightining Curse' on Examiner.com. Trailer to a movie called Gone. Could be interesting! From New Scientist and One Percent - Electronic Contact Lens Displays Pixels on the Eyes. How cool is that! From Kate Wood and her Tursan Tuesdays (Journeys through the Celtic World): A Story of Scathach (female warrior and teacher). From the New York Times - Where No Museum Has Gone Before! They have an exhibit where you can even smell moon dust! I'm sold! There's 11 picts with descriptions on the side. Looks fab! This is totally adorable and great for sharing with the kids - Mars in a Minute: How Do You Get To Mars? Saxon Graveyard Found Under Warwickshire Patio from the History Blog. Make sure to read the last sentence, cracked me up! Heh heh. The Mayflower: A True Story and One You May Not Know by Jess Whitkins. Nice info and some pics! Gene Lempp's Designing From Bones series - Swamp Visions. Exploring the Great Dismal Swamp in Southwest Virginia to Northeast North Carolina. A new Simon's Cat video - Catnap. Life After the Contract guest post by Katie Ganshert. Some nice insights! The Most Crucial Step To Effective Book Marketing by Tony Eldrige. Tell it brother! Debbie Ohi shares her list of resources for Google + Guide for Newbies. Huge list! Key To Digital Marketing Success? Be Less Digital by Mark W Schaefer. Interesting results and something I've tried to live by. From Becca Pugglisi Weather Thesaurus Entry: Summer - How to use weather in settings. Structure Part 8 - Balancing The Scenes That Make Up Your Novel by Kristen Lamb. Dear Dean Wesley Smith - I'm Keeping My Agent, Thanks by Jim C Hines. More common sense talk right here! Do You Suffer From One of These Writing Maladies Part I and Part II by Nathan Bransford. Okay dokey, I think that's it for this week. Enjoy and see you next time! Starring: Asa Butterfield, Chloe Grace Moretz, Ben Kingsley, Sacha Baron Cohen, Christopher Lee, Jude Law, Michael Stuhlbarg, Richard Griffiths, Emily Mortimer, Helen McCrory, Frances de la Tour, and more. Review: The previews for this film don't begin to touch what it's about. The tale has multiple layers and each discovery spins the story into totally unexpected directions. The theme of dreams, machines, and discovery are threaded throughout. CGI use is very subtle most of the time. So much so you will be hard pressed to tell the difference between what's real and what's not at times. The story unfolds slowly as the world and the denizens of the train station are unveiled to the viewer. This gives the whole a great depth and wonderful layering, which will in turn support the worldview held by the protagonist. There are no true bad guys, just people. Each trying to do the right thing in their own way. Some of the most serious are also the most humorous. And you will find yourself caring for every last one of them. Very young children probably wouldn't be entertained enough by the film, but those ten and up should find it fun and full of adventure and even magic. Adults will be even more enraptured, especially at some of the unexpected turns and discoveries. Lego store in the mall had this beauty in their window. Sweetness! 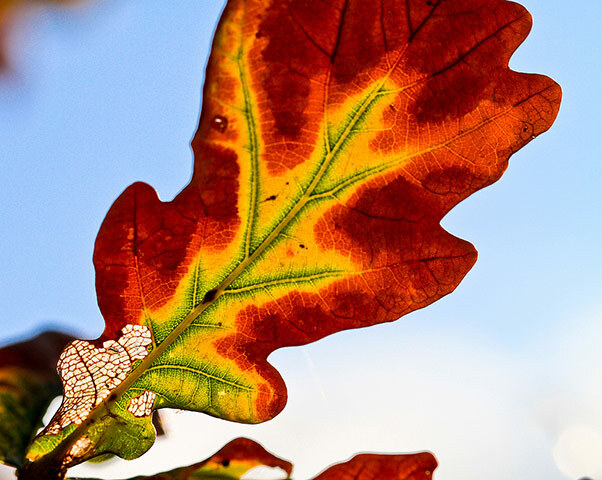 Autumn colors: Your Green Shoots Photographs. 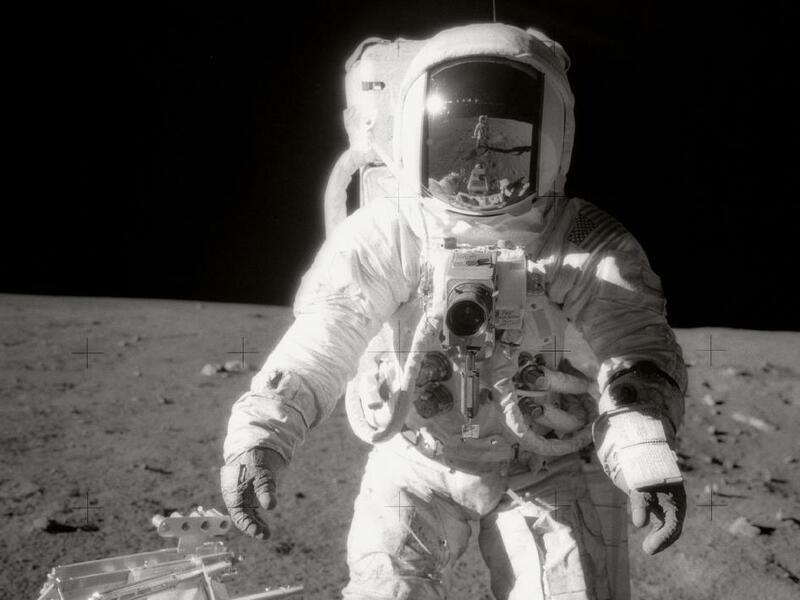 If you click on the link for the larger/original image, you'll see an astronaut reflected in the photo. Loved that! NASA's Image of the Day - Bean Walks on the Moon. There's something just pleasing about this one. Heart of Gold by lieveheersbeestje. Once it gets going this is amazing! Got it from Petapixel. 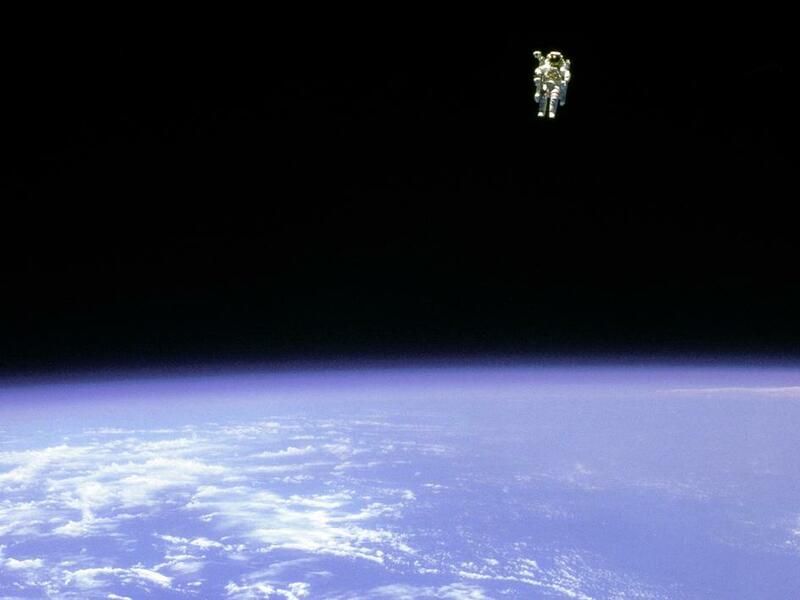 From NASA's Pic of the Day - McCandles orbits in Jetpack. So cool! Jon Huertas shared this pic from Castle. If you're an NCIS fan, you heard Dinozzo talk about his Bucket List. Michael Weatherly shared the whole thing with the fans here. It's so Tony! Heh heh heh. 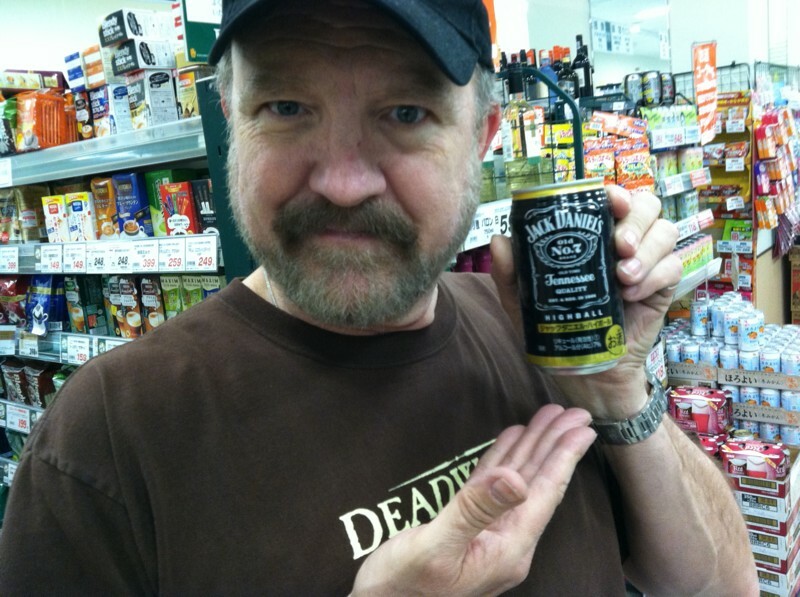 Chuck (NSFW) Wendig shared his Recipe for Sinner's Stew (Contains coffee, beer, and whiskey! oh my!) Sounds quite nice. Hunger Games movie preview. I've not read the books but know a lot of people who love them. Preview is definitely titillating, that's for sure. :) And I love the young man playing the male counterpart. Awesome actor. Ellie Ann is doing a series of blogs on What I Want To Be When I Grow Up - First up A Spook. And she interviews one to get the real skinny. Fascinating. Artist MarieMJS painted this to encourage the writers for the British series "Sherlock" to write Mark Sheppard into the cast. I totally agree! Would be a super blast! Here is a Watson and Sheppard match. A Dr Who Movie on the Way! I'm both excited and nervous about this development! But still, Dr Who on the BIG SCREEN! Woot! Best For Film has found out that those Muppet people also have a penchant for the Twilight films. Here's one of the three posters. You can find all three here. Too funny! Steven Popkis has a cool discussion on Signs of Life. Basically, how do you really know if there's life on a planet. Movie Preview for Mirror Mirror. Looks like it will be a blast! Not your typical Snow White story, that's for sure. lol. New preview for Disnety Pixar's Brave. Looking forward to it! Kristen Lamb warns - Beware the Social Media Snuggie! One Size Does Not Fit All! Well, a week of two ago, I had articles here about joining Klout. This week, I have one about DeKoutifying by John Scalzi. Heh heh. (I don't do any of the perks stuff or eagle eye my score, so...shrug) What will you decide? Rachelle Gardner gives advice on What NOT to Blog About. And she's totally correct. The internet NEVER forgets! Why Writers Need a Platform by Kristen Lamb. Do What Thou Wilt Shall Be The Whole Of The Law - awesome discussion by Chuck (NSFW) Wendig and the weirdness we as writers get mired in. Go - Read - Be Free! More from Chuck (NSFW) Wendig as in 25 Reasons Readers Will Keep Reading Your Story. From Larry at Storyfix.com The Are of Receiving Criticism. Some very good points in this! All peeps are not made the same with critiquing skills. Foreshadowing: How A Sore Thumb Can Prepare You For A Brutal Beating by Roz Morris. Good stuff! Okay, the eyeballs are screaming. Time for me to stop. This should keep you lot busy for a while anyways. Bwahahahahaha! Starring: Henry Cavill, Mickey Rourke, Stephen Dorff, Freida Pinto, Luke Evans, John Hurt, Joseph Morgan, Anne Day-Jones, Greg Bryk, and more. Great costumes and sets and some amazing colors and contrasts. The CGI vistas are breathtaking. A lot of detail on everything. They also have a lot of fun with scene transitions, several of which were quite lovely. Depictions of murals and buildings looked very legit for the period so gave great atmosphere. And when something godlike happened, you had no doubt of it! Weirdest head gear you have ever seen as well 0 very imaginative for the gods and the priestesses. Even had some foreign tongues in a few places for flavor, though they do fall back to modern English and worse, British accents, but what the hey. Lots of great fights! Was super impressed when Henry Cavill made some moves like pulling a sword or holding his spear (even chopping at a log that never gave) seem very natural and fluid. Aside from a little time spent on Theseus and a couple of others, the rest didn't get much in the way of build up, but it doesn't hurt the overall story too badly. There is one bit of bad planning by the architect of the Wall, but then again I don't think they ever thought anyone would get that far. Still, the movie is fast paced, the villain has depth, and I liked the role of the gods, how they have rules they've not shared with the humans, and therefore make what they do or do not do, seem fickle to those below. Definitely a new take on Zeus for sure. The ending was also quite neat and leaves you with a sense of unease at those things which we can't see. Overall, quite the visual and fun romp. Starring: Kristen Stewart, Robert Pattinson, Taylor Lautner, Billy Burke, Gil Birmingham, Sarah Clarke, Ashley Green, Peter Facinelli, Anna Kendrik, and more. Review: The film starts out a little off key, the dialogue and acting not quite jelling for some reason, but luckily that improved before long. Lots of little funny moments splattered all over the first half of the film. A lot of subtle touches too, so that they 'show' a lot of emotions at certain moments rather than 'tell' them, which was great. There was even a sub story thrown in, which if you're not paying attention could be easily missed. Keep an eye on Billy, Charlie, and their lady friend. Edward and Jacob aren't the only ones with love troubles. The CGI for the wolves was good, though they change back to humans seemingly fully clothed. But where the movie truly excelled was all the work they did on Bella. There's a bathroom scene that gave me chills as we see her shoulders and backside. And then the scene with her almost at the end of the film. Beautiful seamless transitions that truly brought the point home. Kudos on that, guys! As you should expect, the movie leaves you hanging for part 2, but the film itself does go full circle. Make sure to stay through part of the credits as there's a little more to see - a quick peek on what we can expect part 2 to be about. Trouble is coming! Overall, it was fun and entertaining.